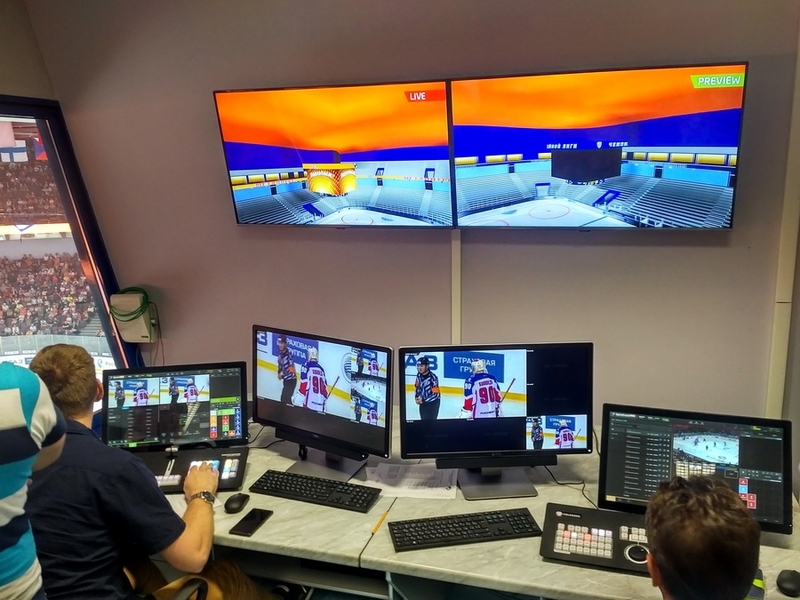 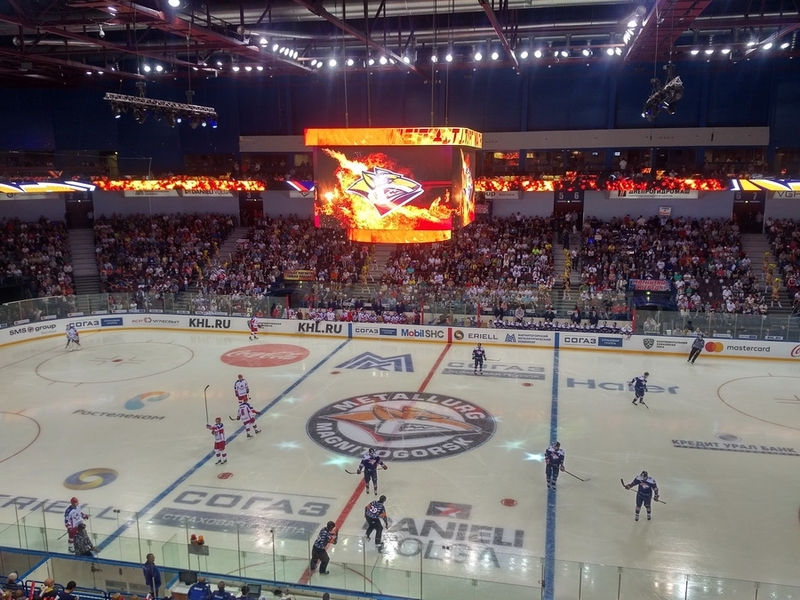 Metallurg Arena, the home venue of KHL champion Metallurg Magnitogorsk was upgraded during the summer with amazing new technology additions by ColosseoEAS. 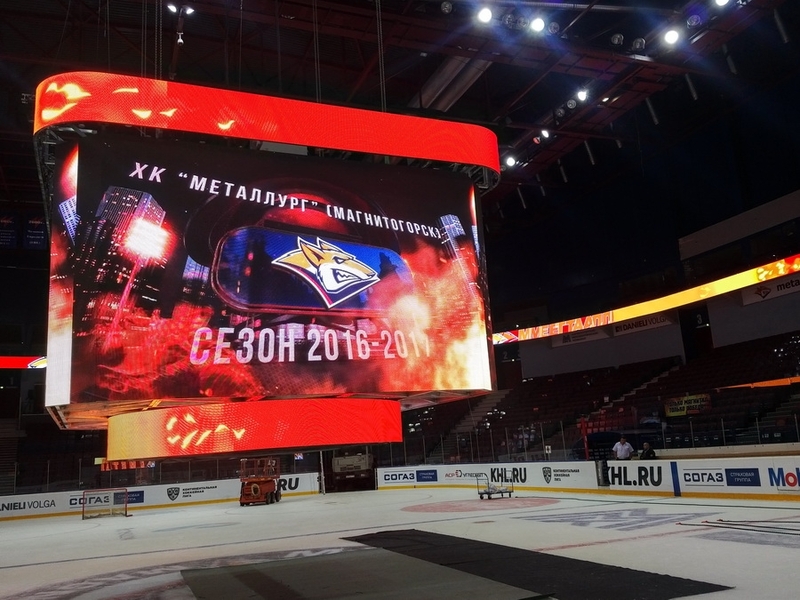 The 2016/17 KHL season opening revealed the arena’s brand new, custom-designed HD center-hung videoboard, exercising 8 mm pixel pitch LED technology with a total LED area of over 100 sqm which creates an incredibly sharp 360° seamless LED canvas. 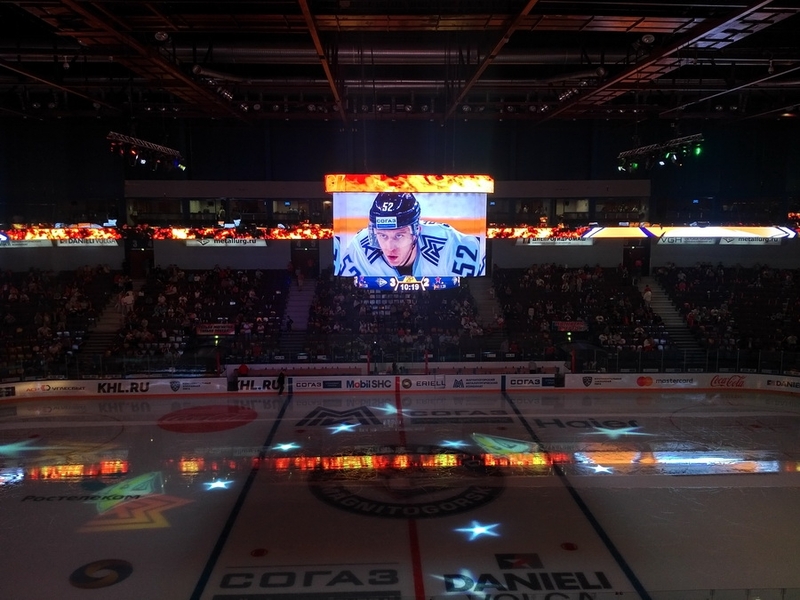 The LED cube is accentuated by a 261 meters long LED ribbon board that wraps all the way round the arena and is only 60 mm (3 inches) thick. 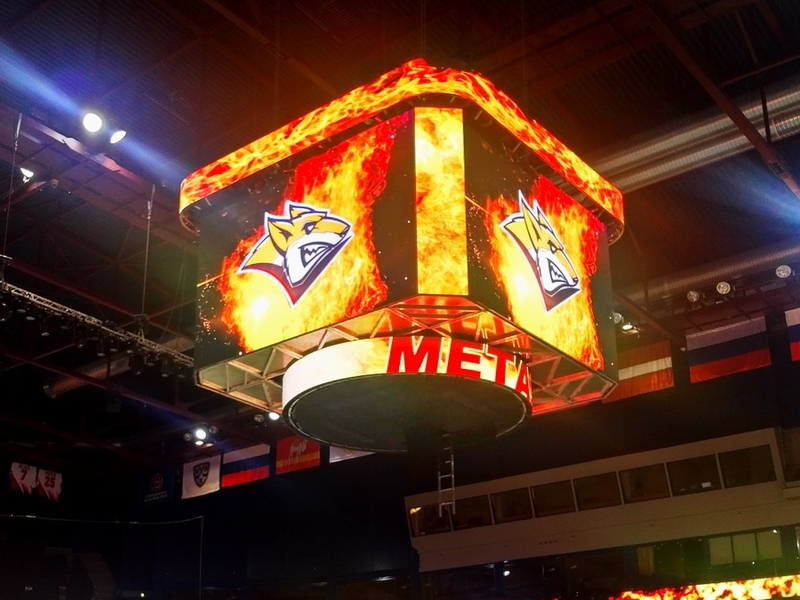 Interested how we built it and installed? 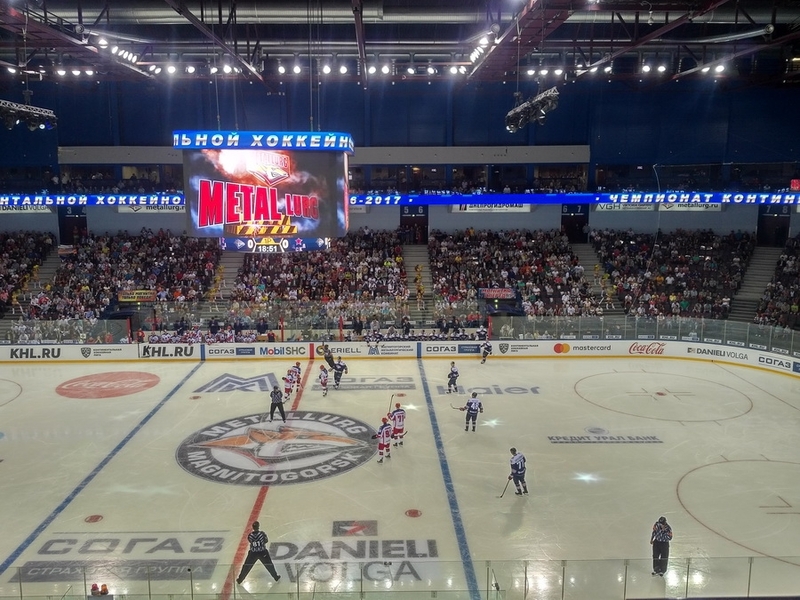 The ribbon board features 10 mm pixel pitch LED technology and provides extra digital space for advertisement, fan engagement or the very popular moment of exclusivity. 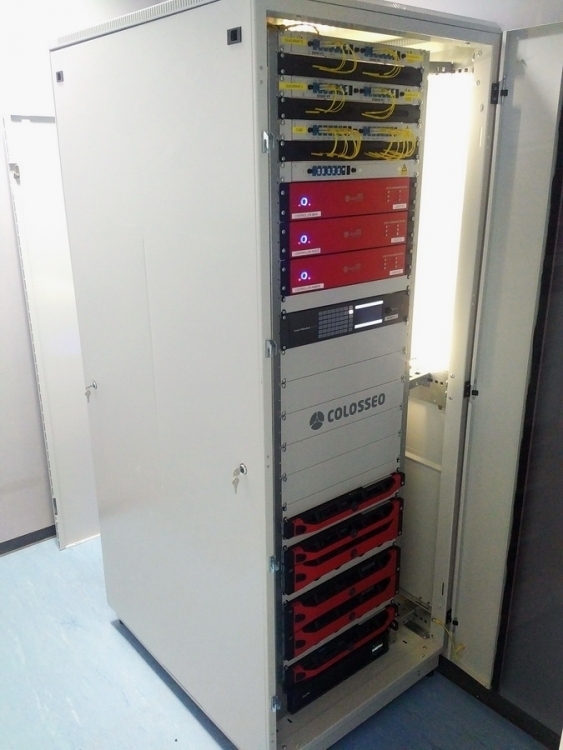 All LED inventory is controlled by the complete Colosseo Single Media Platform (SMP) – the all-in-one content creation and distribution system for game presentation and infotainment that handles all media, creates advanced instant replays, manages advertisement, graphical content and delivers it to every connected screen. 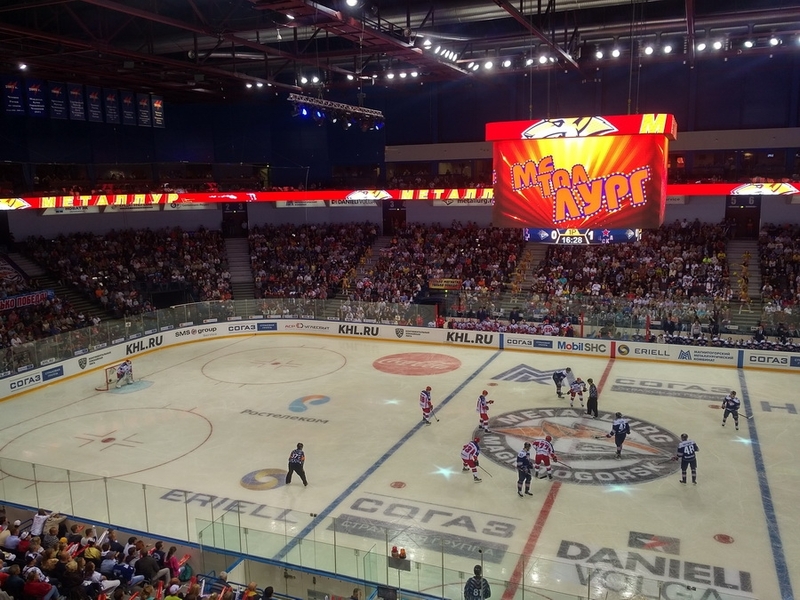 The new arena additions have received very positive feedback from both fans and arena management. 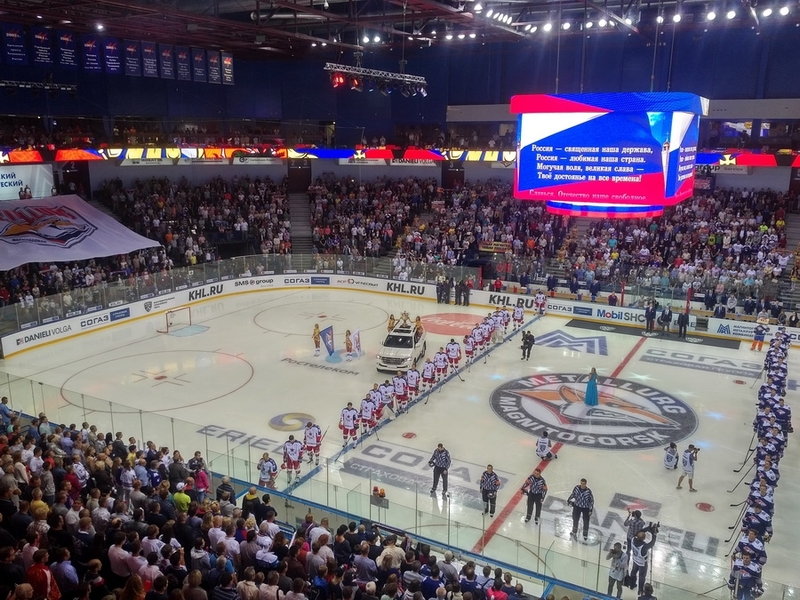 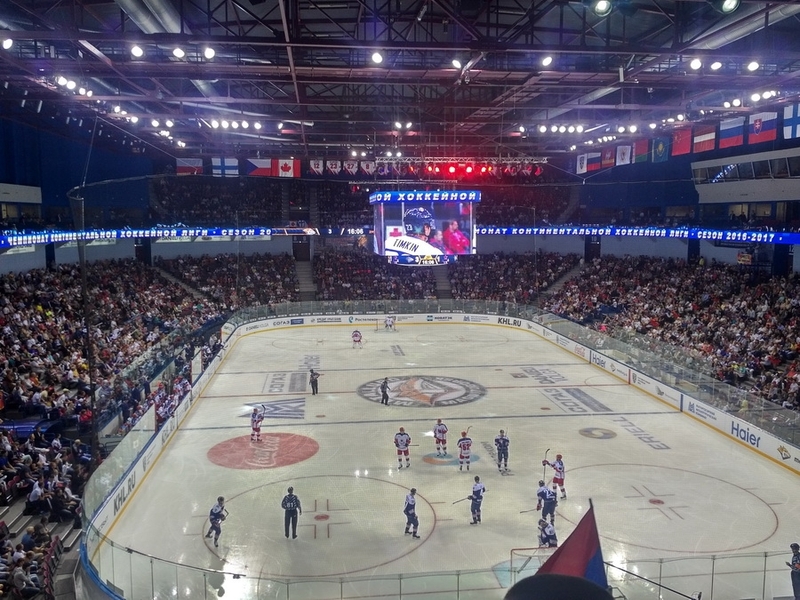 ColosseoEAS now proudly serves six major KHL arenas with its technology.